Representatives from EUROCLIO member assocations working at the House of European History in Brussels. EUROCLIO is excited to announce that educational materials from the Historiana unit “Changing Europe”, developed in the previous edition of Decisions and Dilemmas, will be translated into several languages and used in workshops. The workshops will take place in the countries of the following EUROCLIO member associations: Bulgarian History Teachers’ Association, Croatian History Teachers’ Association, Association for Historical Dialogue and Research (Cyprus), History Teachers’ Association of the Czech Republic, Portuguese History Teachers’ Association, Federal Association for History and Geography Teachers (Spain), Finnish Association for Teachers of History and Social Studies and the Latvian History Teachers’ Association. A preparatory meeting for these events took place from 9-11 February in Brussels at the House of European History. 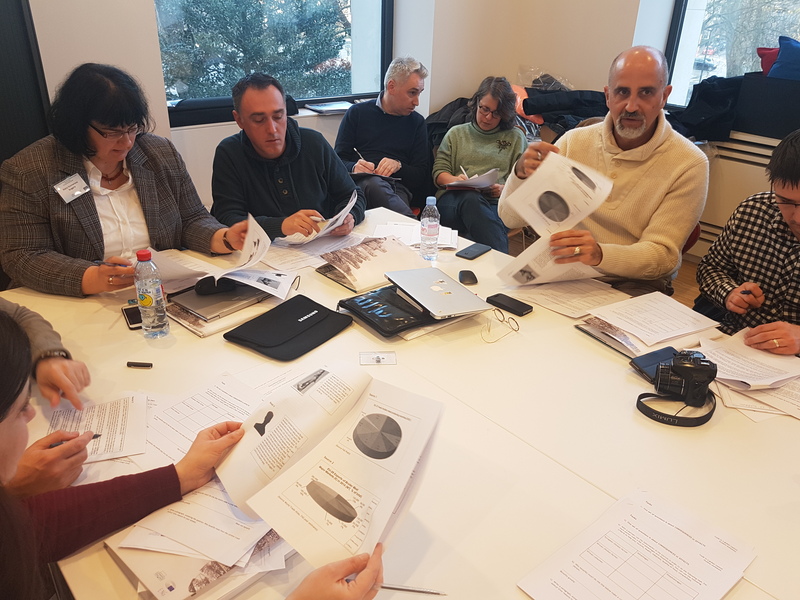 During the meeting, additional training was provided to representatives of the member associations, who will be responsible for organizing a training event based on the “Changing Europe” materials. These 1-2 day events will include workshops and provide teacher training on interesting and innovative ways to teach about the European Union. Together with the member associations mentioned above, we are currently in the process of selecting which materials from the unit will be used in these events. Stay tuned for more news about these upcoming events!